You know social, forums, and community-based websites drive a lot of traffic from user interaction. That’s why most of the site owners are getting crazy to transform their current website into a fully functional community-powered site, and also some people getting ready to build their new community-based website from scratch. Whatever the side of your’s is – old or new, if you’re one of them who are looking for the right way to build an outstanding community or social networking website, we can help you with that. First of all, you need the right membership plugin BuddyPress (for social networking) or bbPress (for a forum), then you need the exact WordPress theme. 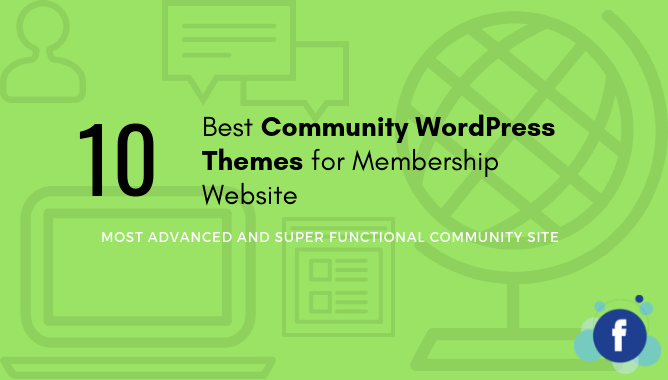 And, here we’ve listed the 10 best community WordPress theme for you that are not only nicely suits BuddyPress and bbPress, but also developed only for building the most advanced and super functional community, social network, or forum site. Our first pick is KLEO – the NO.1 community WordPress theme with over 16,000 happy customers. It has almost every feature and option you need to build your dream website. That’s why, it’s not only suitable for building a BuddyPress community website but also for creating a professional blog, a stunning portfolio, a business directory site, or a mind-blowing eCommerce website. Just get it and create your dream website, no hard skills needed. Salutation is an awesome mobile ready responsive community WordPress theme with a clean design focused on high-level of content organization. The theme makes it easy to let your users interact through forums, groups, friends, status updates, private messaging, and much more. Moreover, it includes super administration features and options giving you the complete control of your website’s design and layout. OneCommunity is our third pick on this list – one of the best WordPress community themes for building an outstanding online community for any purpose. It includes the whole BuddyPress template pack of every page type, as well as BuddyPress and other features such as excellent color selection, clear typography, consistency, and usability. So, users can easily register and create their profiles, post messages, make connections, create and interact in groups, and much more. Buddy is another multi-purpose community WordPress theme that’s lightweight, modern, clean, fully responsive, and search engine friendly. You can use this BuddyPress theme to create any type of website very easily, whether the site could be a business, corporate, community, magazine, or a portfolio. The theme has everything in it that you need, and moreover, it’s less pricey than most of the premium community themes available. Socialize is one of the best BuddyPress themes powered by Redux framework that could be the perfect choice for you if you want to create a social network or a community website. With it’s easy to use powerful features it lets you create a nice looking social network using WordPress CMS, with different functionalities including member profiles, user groups, activity streams, private messaging and much more. Klein is an extremely innovative WordPress community theme that’s carefully built to support bbPress, BuddyPress, and WooCommerce at the same time. Undoubtedly perfect choice for the websites that interact with many users. This theme will make it easy for the members of your site to create profiles, add connections, and send unlimited messages, share important event status, discuss ideas through forums, and lot more. Let’s not miss the PowerMag, that’s mainly a powerful ultra-flexible WordPress magazine & reviews theme. But, now it’s completely compatible with BuddyPress plugin, and it has all the features and components you need to create a community-based magazine, news, or blogging website with a gorgeous makeover. As well as, it also adaptable to all kind of screens, super SEO optimized and speed optimized for the best performance. Besocial is a fantastic social network WordPress theme that does not just support BuddyPress, but it’s actually made for BuddyPress community & social networking website. The theme integrates flawlessly with all BuddyPress features such as extended profiles, private messaging, activity streams, friend connections, user groups, notifications, etc. 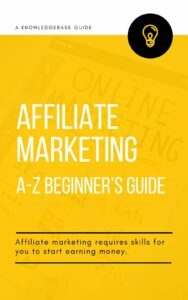 As well as, it also has some additional features including WooCommerce compatibility, like & dislike rating system, user blog posts, and much more. Eonet is fast-paced and interaction-based self-hosted WordPress theme for communities and social networks. It’s built mainly focusing to boost interactivity between your site’s members through a complete web application composed by the theme itself and its components. This theme is super customizable and scalable, suitable for any of your community based projects without any coding. Flocks is our last pick on this list – a complete social network WordPress theme that’s capable of handling any community or networking-based niche or purpose. It’s insanely responsive, this means it automatically adapts to any screen resolution. Besides, Flocks is a features-packed community theme, and you can use it to create a wonderful social networking or community website so easily. There are many people who have their own website and thinking about transforming their site into a community-based website, also there some of them who are going to start their community or social networking website from scratch. But don’t know the right way and haven’t much coding skill as well. The above theme suggestions are actually for both of them. So, they can easily get the right solution for what they are actually looking for. However, the themes we’ve mentioned are not all of them are tested by us. But we’ve done a long-termed research and read users feedback of those particular products, and they are all good. You can go for any of them without any hesitation. These above are the best community WordPress themes so far that we’ve found. And, I hope you’ve also found the right theme for your membership website from the list. So, now take a coffee break then start the transformation or creating from the scratch of your dream community website. Anything you need know or feeling hesitation about, just let us know with the comment or contact us. We’ll assist you as much as we can.